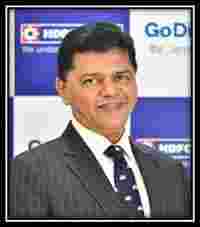 According to a survey carried by Euromoney Trade Finance, HDFC Bank has been ranked number 1 in two categories. Since last year, private lender HDFC Bank has been making headlines after headlines by becoming best bank in various services. Not only this, even HDFC Bank’s CEO Aditya Puri has been recognised among top leaders by international surveys. Once again, a new survey has been done and HDFC Bank does not shy away in making its presence. It is definitely a proud moment for the bank, especially when it comes to Asian banks as well. According to a survey carried by Euromoney Trade Finance, HDFC Bank has been ranked number 1 in two categories. In comparison to many Asian banks, HDFC Bank has been ranked as number one for best service and market leaders. Here’s the list of parameters that HDFC Bank won!